"Media freedom ends the minute you touch a warlord or a government official"
Out of 169 countries in the World Press Freedom Index, released by Reporters Without Borders, Afghanistan is put low on the list in the 142th. Afghanistan falling steadily in the index for the past three years due to pressure on the media from the government and the Taliban. 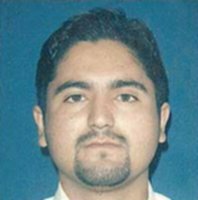 Ajmal Naqshbandi was beheaded by Taliban in March 2007. Press freedom is one of the few achievements of the five years since the fall of the Taliban regime. But it remains fragile as journalists feel the effects of deteriorating security, threats from warlords, conservative religious leaders and an increasingly hard-pressed government. "Media freedom ends the minute you touch a warlord or a government official," said Mohammad Hassan Wolesmal, editor of Afghan Milli Jarida, whose home was attacked in March after the paper carried an article critical of President Hamid Karzai. The leader of Afghanistan’s Independent Journalists Association, Rahimullah Samander, has said those who are protected by private militia have no time for freedom of speech and try to impose censorship and self-censorship on journalists. The volatile situation and the increase in suicide bombings in the east and south of the country have made journalists’ work more and more dangerous. In July, Abdul Qodus, a cameraman and driver for Aryana television was killed in a double suicide bombing. Italian photographer Gabriele Torsello was kidnapped and held hostage for three weeks by armed men near Kandahar. Behind the encouraging official statistics - 400 publications, 50 privately-owned radio stations, five news agencies and six TV channels - the reality is much more complex. Most of the titles are weeklies with very limited circulations. In November, one of the most independent papers, Kabul Weekly, ceased publication because of a lack of advertising. Similarly, in Mazar-e-Sharif, the daily Baztab closed after failing to increase distribution. In August, conservative members of parliament physically attacked a team from Tolo TV and called for them to be expelled from the premises after it broadcast footage of slumbering deputies. The previous month, warlord Abul Sayyaf sent his henchmen to attack a Tolo TV crew near Kabul. At least 20 journalists were assaulted or received death threats in 2006 from politicians or their families. The Taliban, predators of press freedom, hold sway in several southern provinces. At the end of November, they detained two Pakistani journalists for one week after they entered Helmand province without asking their permission. At the start of the year a Taliban military chief warned, “I want to say to journalists that if, in the future, they use incorrect information from NATO we will target them (...) We have the Islamic right to kill them". However, theology students stepped up their contacts with the press in 2006. "They need someone to put out their criticism of the government. 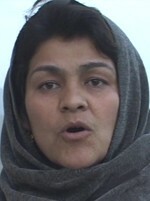 They know that propaganda has a major role in this war,” said Tolo TV presenter Massod Qiam. 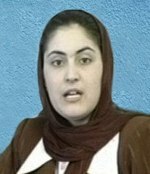 June 6, 2007: Zaki Zaki, manager of Peace Radio in Afghanistan, was gunned down in her house in northern Parwan province. 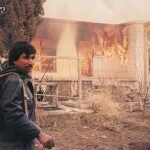 The growing presence in the media of Taliban rebels has led the secret services to try to impose a degree of censorship. Leading media editors were summoned in June to be given a 24-point list of banned news. This list, which the press immediately rejected, outlawed contact with the Taliban and broadcasting news contrary to the country’s or the international coalition’s foreign policy. The secret services ordered journalists to stop using the expression “warlord” and to support the efforts of the Afghan army. Despite the outcry, Hamid Karzai confirmed that he had been consulted by the authors of the list, because, he said, certain imperatives had to be taken into account in the interests of national security. The government’s adoption of a third press law gives a relatively liberal framework for media development, in a country governed by Sharia. But parliament, in particular the Wolesi Jirga (lower house) which is dominated by the conservatives, has drawn up a list of reactionary amendments. The Religious and Cultural Affairs Commission has increased references to Islamic principles and banned publication of news contrary to stability, national security and territorial integrity. The draft law which could go before parliament at the beginning of 2007 includes a ban on promotion via the press on any religion other than Islam. In the first six months of 2017, 73 cases of violence against journalists were recorded, including 10 cases of killings, 19 beatings, and 12 injured," the report said.